The gang in Redmond is gearing up to unleash a big Windows update next week, but "big" appears to be a relative term, given it won't be the "Update 2" many pundits have been expecting. Microsoft announced on its Blogging Windows portal that the next update to Windows 8.1 will arrive as an over-the-air download next Tuesday, August 12, but the company is tempering user expectations accordingly. "Despite rumors and speculation, we are not planning to deliver a Windows 8.1 'Update 2'," the blog post elaborated, a comment presumably targeted at journalists and rumor websites who have been touting a forthcoming so-called "Update 2" in recent weeks. Instead, next week's update is more along the lines of Microsoft's usual monthly patches, which include "more frequent improvements" along with the traditional security updates provided by the company's "Update Tuesday" releases. Microsoft did take the time to outline three "new features and improvements" coming on August 12, beginning with improvements to the touchpad made possible by three new settings, along with new Wi-Fi direct APIs to enable compatibility with a Miracast receiver. With the former feature, Windows PC and tablet users can now choose to leave their touchpad active when a mouse is connected, allow right-clicks on the touchpad itself or double-tap to drag an item when using the touchpad; the update also adds a "Keep me signed in" option to minimize login prompts with SharePoint Online. Current Windows 8.1 users will start seeing the patch roll out sometime after next Tuesday if automatic updates have been enabled, but it can also be manually installed via Windows Update beginning Tuesday. Microsoft also plans to deliver similar modest improvements to Windows Server 2012 R2 starting next week, and plans to continue rolling out smaller patches rather than waiting to bundle everything into less-frequent releases such as last April's Windows 8.1 Update. 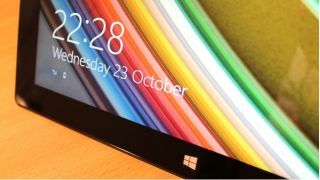 Take a peek at our expansive Microsoft Surface Pro 3 review!